Who doesn't love tacos? 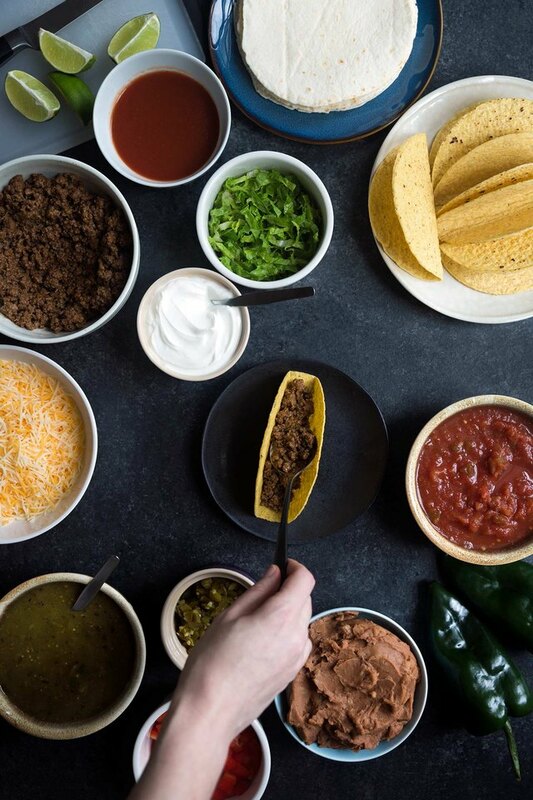 With a variety of flavorful serving options in addition to a slew of complementary drinks, side dishes and dessert options, a taco bar party is a perfect excuse to get together with friends and family. The key to success is figuring out what to make from scratch versus where to save time by preparing components from scratch (spoiler: there's no right or wrong answer). Then, all you have to do is set everything out using decorative, colorful platters and let your guests prepare their own meals! I once read a quote that a taco was "anything wrapped in a corn or flour tortilla that you can eat standing up." While there are definitely more traditional versions, a quick online search will yield endless variations of taco recipes. While the fillings can be changed up quite a bit, one thing is always present: the tortilla. Flour tortilla will definitely work for tacos, but corn is the a more traditional way to go in terms of flavor. 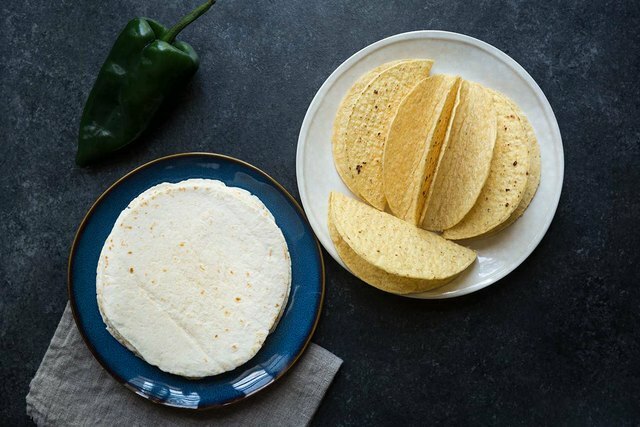 Soft corn tortillas from the grocery store can be very delicate and easy to tear, which is why you may want to opt for a combination of hard corn tortilla shells and soft flour tortillas. That is, unless you have a tortilla press and want to go about making soft corn tortillas from scratch. Seasoned ground beef. Use 80% lean ground beef for added flavor. You can use store bought taco seasoning or make your own taco seasoning. 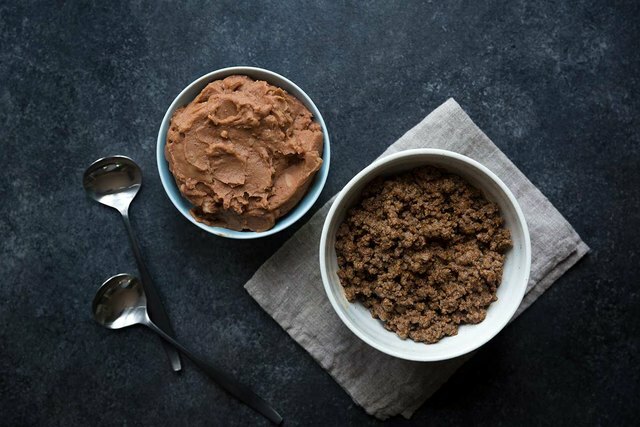 If you have meat fillings that need to be kept warm during the party, a crockpot does the job perfectly. I like some sort of creamy element in a taco, whether it's cheese or sour cream (or both). one great options include using a blend of shredded cheddar and Monterey jack. You can either purchase the cheeses pre-shredded, or buy whole blocks and grate them yourself. Another tasty taco topping is queso fresco, which is a firm crumbly cheese. Shredded lettuce and diced tomatoes are good options to set out at for guests. Other options you might want to consider are hot and/or mild fresh peppers, which add a nice crunch. Diced bell peppers, poblanos, serranos and jalapeños are all good options. 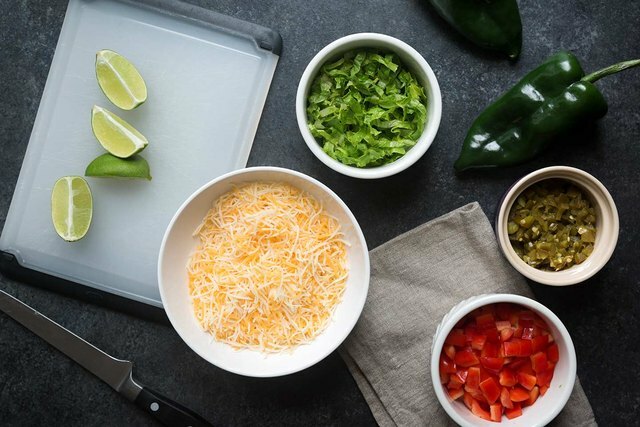 You can also drain and set out canned toppings such as diced green chiles. 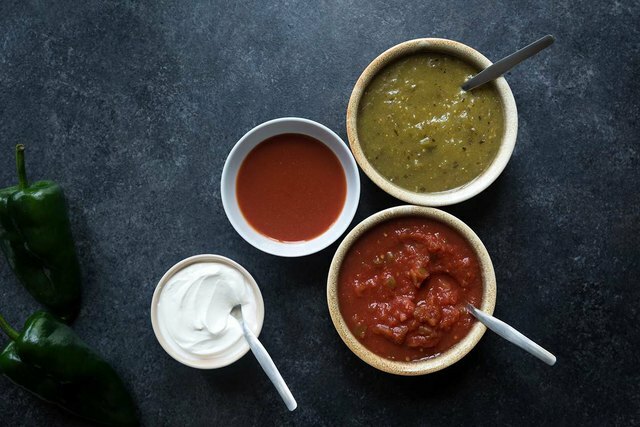 It's nice to include a few different salsas and sauces for color, moisture and flavor variety. I'm a fan of offering at least one red and one green salsa option. Then you can also include either a taco sauce or a hot sauce (I'm personally a fan of the hot sauce!). Sour cream is an essential, in my opinion. It wouldn't be a complete party without some drinks and sweets. To round things out, here are a few more suggestions.